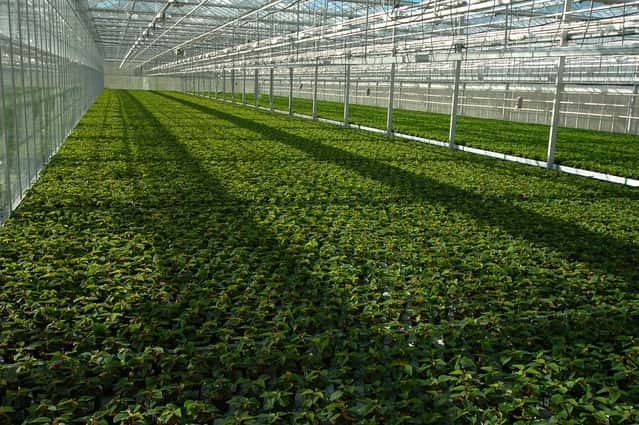 It is true that there is money in greenhouse farming but individuals need to familiarize themselves more about greenhouse farming before investing. There are so many things that need to be learned such as trainings on greenhouse farming, needed resources, the best crops to grow in a greenhouse farm and many more. There is a big difference between crops grown in usual farms and crops grown in greenhouse farm so it is highly imperative to know the most suitable crops to grow for greenhouse farming. Many farmers choose to grow these crops on greenhouse farms because they have more control over the environment and the temperature. You must begin with something included in the salad family. Almost all leafy vegetables grow in similar manner most especially when talking about bedding plants. Apart from basic knowledge, aesthetic knowledge is also required when growing leafy greens in a greenhouse farm. Leafy greens have varying colors and tastes and these make perfect sidelines and starters. These can also be excellent sources of income as individuals can sell them in several grocery stores and even on wholesale basis. In simpler explanations, you can actually grow mouthwatering and lovely looking Tatsoi, peas, beet, radish, choi and more. These are also extremely loved snacks and sidelines. Once you obtained good knowledge about growing micro greens in a greenhouse farm, you can combine varieties and create a second-generation of micro greens on your own. Spinach is one of the widely known crops grown in greenhouse farms. If you have the desire to enjoy the tastiest and freshest taste of spinach, grow this in you greenhouse farm then cut this from the garden and cook them immediately. Spinach is very healthy and can actually help you increase your mineral and vitamin intake instantly. The most important thing here is that you will never face any difficulty maintaining and growing spinach. Cucumber is a popular greenhouse plant. Long green cucumbers are the most familiar varieties among many consumers however; this is a little bit hard to produce as these need to be properly shrink wrapped after being harvested to keep them fresh and firm. Tomatoes are also one of the best crops to grow in greenhouse farms. There are several options available that vary in sizes, shapes and colors. Tomatoes, as well as grapes and cherries on vines are also popular options. Aside from the crops mentioned above, there are more other crops suitable for greenhouse farming. These include citrus fruits, squash, peaches, strawberries, coriander, raspberries, peppers, green beans, lettuce, carrots, summer crops and many more. These crops entail good harvest if cultivated and grown well in greenhouse farms. Eco-friendly farming techniques are helpful to farmers and to people in regard with the wind energy, wind power, reduced energy costs and saved environment. Jute farming is not a complicated task. Once you become familiar with this, you can get more money in an instant. It is just a matter on how you use your skills and cultivating methods to harvest more jute plants.